Christmas Crafts for the HoliYAYs! I absolutely love Christmas. This is one of the most magical times of the year. Although it’s always super busy, with the longest to-do list imaginable, we all find time to do everything and still get together with family and friends to throw numerous Christmas & Year-end parties. And boy do I love parties! Part of the magic of Christmas is not just taking time to spend with our loved ones, but we also make sure the get-together looks flipping amazing. And for all the other moms that love doing crafts, this it the ultimate time to get your DIY on. 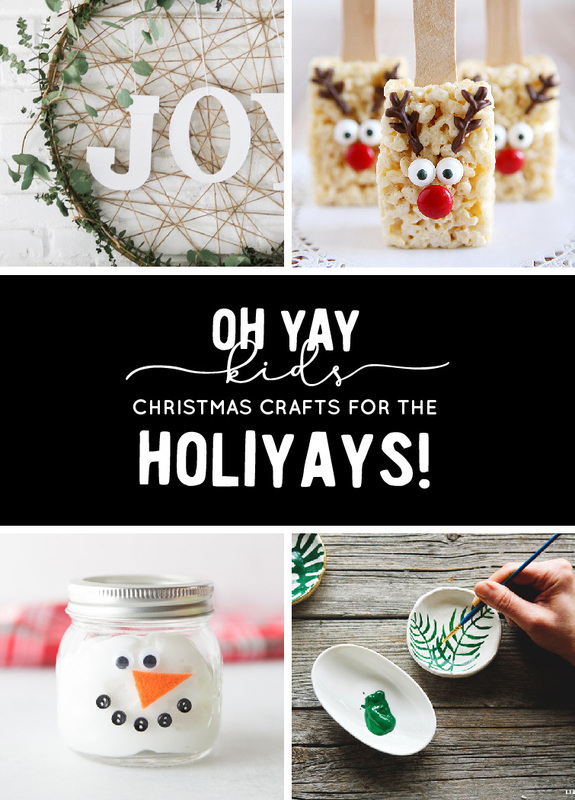 I have compiled a list of cute Christmas crafts to inspire you. A few of these are also ‘child-friendly’. The perfect projects to keep your little one busy over the holiYAYS. The perfect project to keep your little one busy and get a super special ornament out of it. This gorgeous wreath will make such an impact in any home, and the steps are pretty simple! These are the cutest treats. Super easy to make and super YUMMY! I am a granny with 2 grandchildren. I will be able to keep them busy this holifay. That’s great Linda! I am sure your grandchildren will love these activities! Enjoy! !